It is not correct to use the term “fine cooking” about French farmhouse cooking. It is more a natural part of life. There is no Machiavellian refinements or superfluous embellishments. Just honest, good, simple ingredients that makes tasty dishes that suit the season, climate and work. 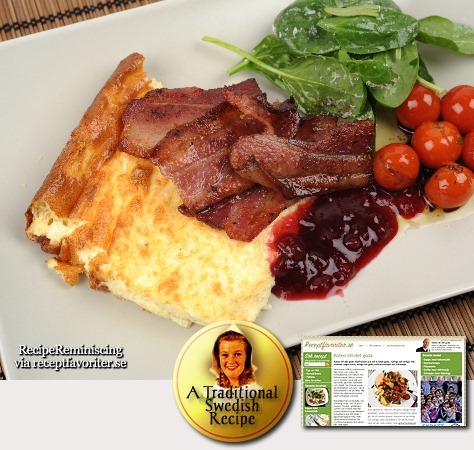 This egg cake is a kind of pancakes served with fried pork and lingonberries. 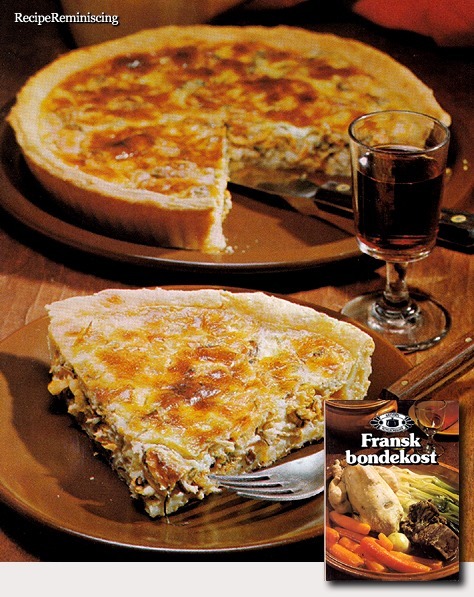 It is a traditional farmhouse dish from Skåne, the southern most county in Sweden. The recipe is for two people and you make it in an ovenproof skillet.